The Law Commission of India, in its 276th report, has recommended legalisation of regulated betting and gambling activities, asserting that a complete ban has not been returning the desired results. The report has been formulated in furtherance of a Supreme Court directive issued in the case of Board of Control for Cricket in India v. Cricket Association of Bihar & Ors., wherein the Apex Court had mandated the LCI to study the possibility of legalising betting in India. The LCI has, however, examined the legality of both, betting and gambling, opining that the two are closely associated with each other. The report acknowledges the fact that with the advent of online gambling and the anonymity that it ensures, it has become extremely challenging for countries to monitor or curb these activities. It then highlights the advantages of regulating such activities, claiming that this would not only ensure transparency in the market, but would also strike at the underworld’s control over the illegal and unregulated gambling industry. In addition, the revenue generated by regulating and taxing betting and gambling has been found to be a “good source of revenue” to be “used for public welfare”. Interestingly, one of the Commission members, Prof. (Dr.) S. Sivakumar did not agree with the majority opinion and has recorded his dissent separately in a note at the end of the report. He opines that the Supreme Court mandate for the Commission was only to ascertain legalisation of betting in cricket, and not sports betting in general. “amassing money clandestinely, by a handful of game operators, thereby pushing the innocent masses to hands of poverty and penury”. Since online betting and gambling are offered and played over media (telephones, wireless, broadcasting and other like forms of communication) covered under Entry 31 of List I of the Seventh Schedule to the Constitution, the Parliament has the legislative competence to enact a law(s) dealing with the same. The Parliament may also enact a model law for regulating gambling that may be adopted by the States or in the alternative, the Parliament may legislate in exercise of its powers under Articles 249 or 252 of the Constitution. In case legislation is made under Article 252, States other than the consenting States will be free to adopt the same. Being a State subject under List II of the Seventh Schedule to the Constitution, it is needless to say that State Legislature(s) is competent to enact the required Law for the State(s) concerned, while duly taking note of the National Policy on gambling etc., and other legal considerations. Since horse-racing, being considered a game of skill, has been exempted from the ambit of blanket prohibition on “gambling”, both by the legislatures and the judiciary, other skill-centric games may also be afforded this exemption. Operators ought to focus on the safety and protection of players indulging in such skill-centric games. 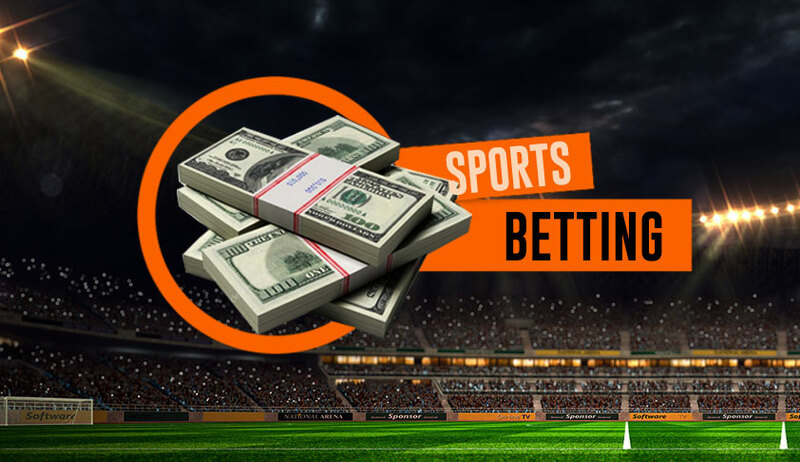 Gambling and betting, if any, should be offered only by Indian licensed operators from India possessing valid licences granted by the game licensing authority. For participants, there must be a cap on the number of transactions an individual can indulge in these activities in a specific period, i.e., monthly, half-yearly or yearly. The nature of stakes should be restricted to money with a linkage to PAN card and Aadhaar card, and the betting amount should be prescribed by law, having an upper limit on the amount one can legally stake in a gamble, which may be on the basis of the deposit, winnings or losses. Similar restrictions should also be prescribed for the purpose of the amount one would be allowed to stake while using electronic money facilities of the likes of credit cards, debit cards, net-banking, VCs, etc..
Gambling must be classified into two categories, namely ‘proper gambling’ and ‘small gambling’. ‘Proper gambling’ would be characterised by higher stakes. Accordingly, only individuals belonging to the higher income group shall be permitted to indulge in this form of gambling. On the other hand, individuals belonging to the lower income groups will have to confine themselves to ‘small gambling’, not being permitted to stake high amounts (falling within the bracket of ‘proper gambling’). In order to protect the public from the ill-effects of these activities and with a view to have enhanced transparency and state supervision, all betting and gambling transactions should be linked to the operator’s as well as the participant’s/player’s Aadhaar Card/PAN Card. The enactment(s) so made to regulate gambling and betting activities must ensure that vulnerable sections of the society are protected from being exploited by the possible ill-effects of these activities. In particular, the youth and children below the age of 18 years (who may or may not be posing as adults), and those who are below poverty line and to whom as a social welfare measure, Central / State Governments provide subsidies to their Jan Dhan Account for sustenance. Putting such restriction is a must so that the money provided by the Government for their sustenance on different heads under the Direct Benefit Transfer Scheme is not misused in participating in gambling and betting and these vulnerable people are protected from the vice of gambling and betting. In other words, all those who get subsidies or do not fall within the purview of the Income Tax Act or the GST Act should be debarred from participating in online and / or offline gambling platforms. The websites advertising gambling must compulsorily ensure that there is no objectionable or pornographic content on display on their portals/platforms. Information regarding the risks involved in gambling/betting and how to play responsibly must be displayed prominently on all gambling and betting portals/platforms. The transactions made between and among operators and players/participants indulging in these activities should mandatorily be made ‘cashless’. This would go a long way in enabling appropriate authorities to keep a close eye on every single transaction so made. Necessary provisions should be made part of the relevant law(s), attracting penal consequences for cash transactions so made. Any income derived from such activities should be made taxable under the Income Tax Act, 1961, the Goods and Services Tax Act, 2017 and all other relevant laws for the time being in force applicable to such activities in India. The Foreign Exchange Management Act, 1999 and the Rules211 made thereunder as also the Foreign Direct Investment (FDI) Policy, may suitably be amended to encourage Foreign Direct Investment in the casino/online gaming industry, lawfully permitting technological collaborations, licensing and brand sharing agreements, etc. Allowing FDI in this industry would bring substantial amounts of investment to those States that decide to permit casinos, propelling the growth of the tourism and hospitality industries, while also enabling such States to generate higher revenue and employment opportunities. There must be a stringent law(s) in place to regulate Foreign Direct Investment on one hand and to prevent money laundering on the other. Under the Information Technology (Intermediary Guidelines) Rules, 2011, Intermediaries are barred from hosting or transmitting content relating to or encouraging gambling. However, this provision creates an anomaly when a State decides to regulate or allow gambling. For instance, even though the State of Sikkim has permitted online gambling and betting, it is unclear whether the Rules of 2011 would apply to licensed online gambling and betting enterprises. It is therefore suggested that the Intermediary Guidelines Rules be suitably amended to insert the word ‘illegal’ before the word ‘gambling’ so that those intermediaries that transmit or host content relating to illegal gambling, i.e., gambling activities not licensed by any State, may be held liable. The “National Sports Development Code of India, 2011”, which aims at preventing betting and gambling in sports or any other code applicable from time to time, will also require an amendment/modification, to create an exception for the same, if betting and gambling are to be regulated. An agreement could be rendered unlawful by section 23 of the Indian Contract Act, 1872, if the consideration is not lawful or it affects the morality or is against public policy. Further, section 30 thereof makes wagering contracts void but not illegal. These provisions stand detrimental to the interests of players/participants who indulge in gambling transactions and may not be provided winnings, as it makes it impossible for a party to assert such a right in a Court of Law. It is therefore suggested that section 30 be suitably amended to exempt transactions that legally take place with licensed gambling operators or casinos, from the ambit of ‘wagering agreements’. Detailed safeguards inter alia, for employees of casinos, minors, internal control requirements for casinos (like customer due diligence), maintenance of accounts, audits etc., and the establishment of a council to look into and prevent ‘problem gambling’ and ‘gambling by minors’ must be put in place. Match-fixing and sports fraud should be specifically made criminal offences with severe punishments. Amend any other existing law(s) that puts an impediment to bring into effect the regulating mechanism to such effect.